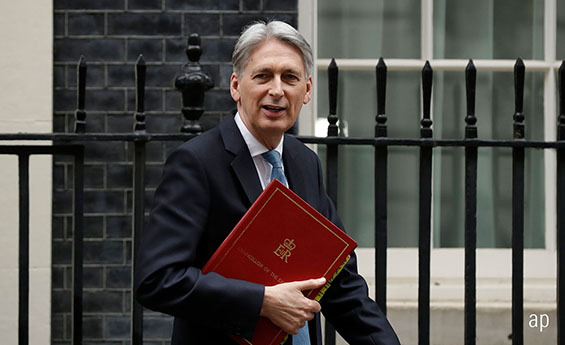 Chancellor Philip Hammond used Wednesday’s Spring Statement to urge MPs to take a no-deal Brexit off the table and back a deal to take the UK out of the European Union in an orderly fashion to clear the uncertainty engulfing the UK’s economy. Parliament voted against Theresa May’s current deal once again on Tuesday night, meaning they’ll ballot again this evening on whether to pursue a no-deal Brexit. Should this be rejected, another vote on Thursday will follow on whether to request an extension to Article 50. Speaking at the dispatch box on Wednesday afternoon, Hammond first dangled the prospect of a £26.6 billion “deal dividend” in front of MPs. But he stressed it would only materialise if “we leave the EU with a deal and an orderly transition to a future economic partnership”. That dividend will take the form of an economic boost, as both business and investment confidence return, as well as a fiscal boost thanks to the release of some fiscal headroom currently being held in reserve. That headroom was revised upwards to £26.6 billion, from £15.4 billion in the October Budget. Hammond was, though, at pains to stress the deal dividend would only be delivered if a deal is voted upon in the coming weeks. “I am confident that we, as a House, will do it,” he continued. If a deal materialises, Hammond committed to spending some of that £26.6 billion in the Autumn Budget, although he declined to say just how much. If a deal does not materialise, however, he implied that cash would disappear and a loosening in fiscal policy wouldn’t be able to mitigate the hit to the economy. Paul Dales, chief UK economist at Capital Economics, thinks fiscal policy will be loosened by even more than the Chancellor implied. Conversely, a deal would lead to a stronger-than-expected economy. We’ve been consistently told that there is no appetite in Parliament for a no-deal Brexit and that will be resolutely tested this evening. Duncan Weldon, asset allocation strategist at Legal & General Investment Management, predicts Thursday’s vote will reject a no-deal Brexit and Parliament will then vote to request an Article 50 extension. Elsewhere in the Spring Statement, the Office for Budget Responsibility downgraded economic growth forecasts for 2019 to 1.2%, from 1.6% previously, as expected. But that was offset by upward revisions in later years that leave the average rate of growth almost unchanged, says Dales.